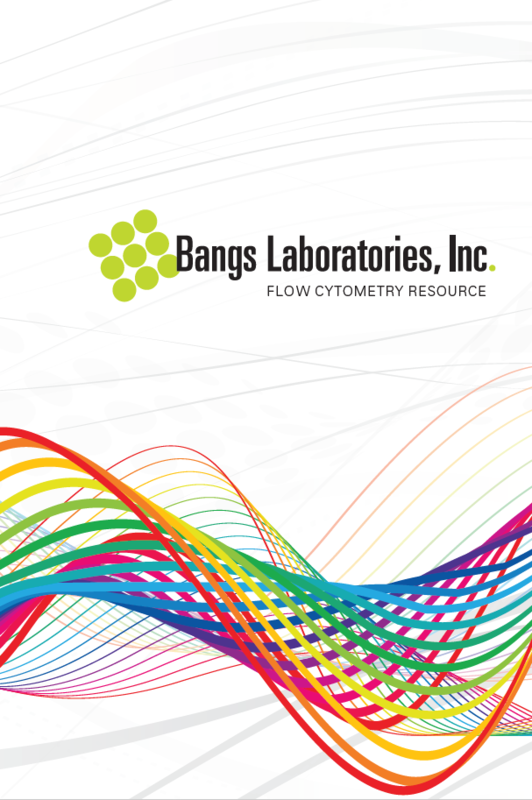 Bangs Laboratories, Inc. is a manufacturer of uniform polymer, silica and magnetic microsphere products for diagnostic, research and flow cytometry applications. They also manufacture many specialty products to support validation and QC programs for analytical instruments, including a broad portfolio of fluorescent, count, size and cell viability standards. Bangs Laboratories supplies a large variety of uniform polymeric and silica microsphere products for diagnostic, research, and flow cytometry applications. Bangs newest QuantumPlex™ flow cytometry multiplexing kits complement specialty microspheres for a variety of immunoassay, molecular and cell biology and standardisation applications. Bangs’ product list contains the best range of microspheres with >2000 varieties. BioMag particles have a tremendous surface area, and are ideal for conducting bioseparations from a range of samples. The higher density of BioMag allows them to perform well even in difficult (e.g. highly viscous or complex) samples that can be problematic from polymer microspheres. A variety of surfaces are available, including secondary antibodies, protein A and G, anti-CD markers, oligo dT, as well as functionalised versions for fully customised coatings. Highly uniform magnetic microspheres in diameters of 3, 6 and 8 µm. They are ideal for applications in flow cytometry. Beads contain a highly optimised amount of magnetite to minimise settling during incubation steps, while ensuring rapid separation times. The polymer matrix is conducive to dyeing, and standard red and green fluorescent versions are available. The newest addition to the magentic microsphere product line, these 3 µm polymer based magentic spheres support diagnostic applications that require highly uniform, high-binding beads and fast separation times. ProMag have a proprietary hydrophilic surface to reduce non-specific binding in protein-based systems, and offer superior handling without the use of surfactant. Kits combining linearity validations with quantitative fluorescence determinations for your flow cytometer. Quantum Plex combines versatility with performance to deliver flexible, efficient, cost-effective throughput, using an innovative bead kit for multiple analyte-detection. Allows the determination of Antibody Binding Capacity. Ensure accurate and reproducible results for flow cytometry. Daily compensation with Bangs` Compensation Standards eliminates carryover to ensure consistent results. Fluorescent Reference Standards for daily standardisation to ensure optimal and reproducible instrument performance. Fluorescent labels from Bangs make an ideal reference material for instrument standardisation. Standards which provide an internal point of reference for stained cell populations. SNARe™ DNA Purification Systems offer rapid, cost-effective methods for isolating DNA using DNA Separation Particles. DNA Separation Particles are a suspension of superparamagnetic iron oxide particles that bind double-stranded DNA. Once bound, the DNA-particle complex is stable and can be washed to remove any impurities or unwanted proteins from the sample to provide a clean DNA preparation.